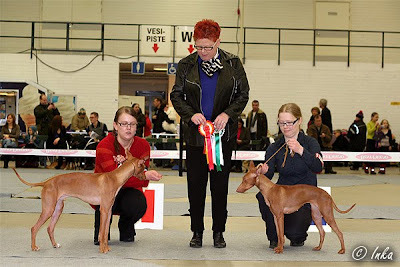 We had a nice day at Turku INT show, 7 entries for Lotte Jörgensen. Our young 1-year-old boy Iosono Siciliano (Capo) was BOB and our breeder's group was BOB, too! Congratulations to Capo's owner Elina, Capo did great!